OLD PARKED CARS. 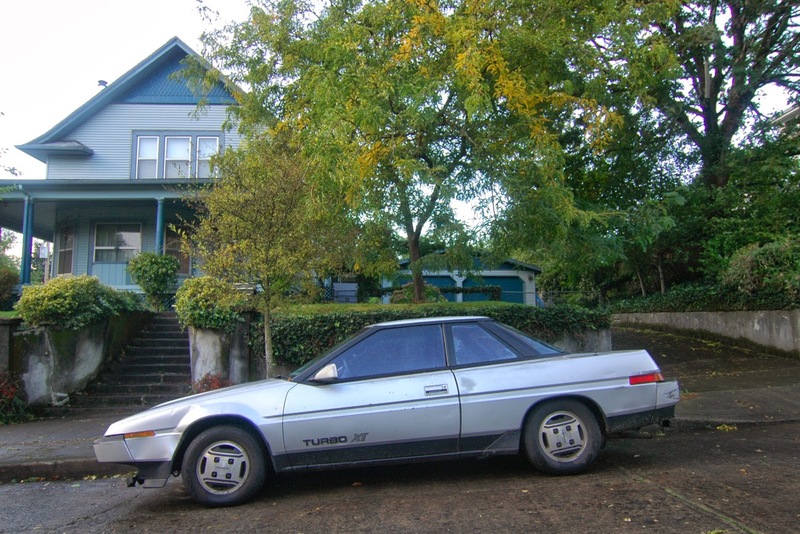 : 1986 Subaru XT Turbo. Heck yes they're good. If for no other reason than the artificial horizon LCD. love the cheese wedge styling and japanese fishbowl of death. The interior was equally space-age. Never again will we see such crazy, daring designs without a care for consumer clinic opinion. I always love the idea of offroading in a little Leone hatch or wagon, but the extra 30 or so horses and cutting edge aerodynamics of this would be a whole different kind of fun. Loved how they would get lower to the ground, the faster you went. Man, I love these things. They basically sums up the 80's in a nutshell. wow you guys found another one. 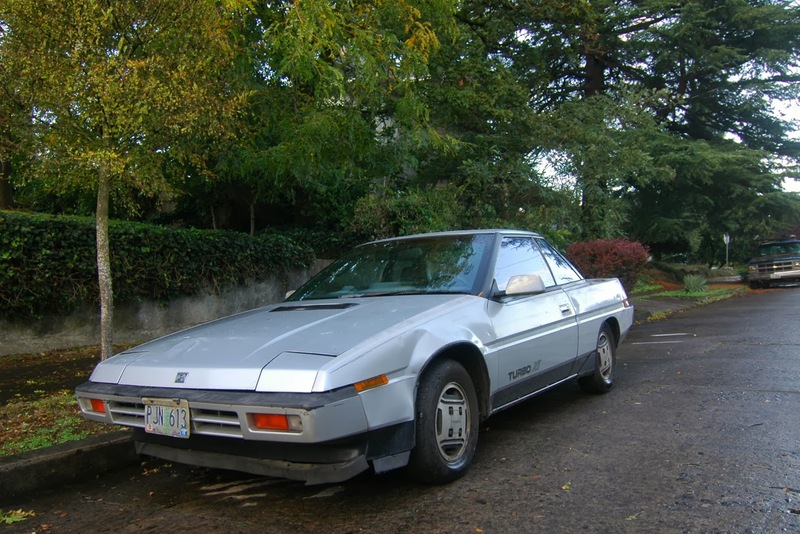 I'm amazed by how many you come across, I have spied only one on the road in recent memory. if i recall it had a weird pistol grip looking shift handle and that dash display is really cool. I remember there was one of these driven by Elizabeth Perkins character in the movie Big. one of my top 5 fav Subaru's for sure. I've never seen one to my knowledge and I like the ad you posted. 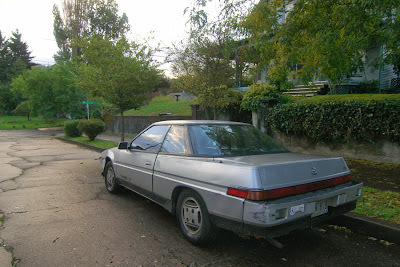 these always remind me of the concepts that Nissan didn't have the balls to mass-produce in the 80's - 90's. 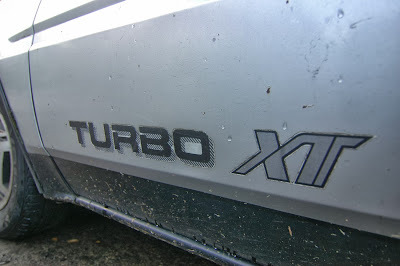 and if the XT wasn't crazy enough they did it again with the SVX a few years later. i wonder what kind of looks that an XT owner would get on their daily commute when the car was new. i'd wager it gets just as many double-takes today as it did back then. there's one down the street from my grandma, unfortunetly, it's rusting into the ground.. Loved these things when I was a kid. Heck, I still do. So 80's rocketship. Re: "Loved how they would get lower to the ground, the faster you went. " How did they manage that? I know the 90's Lincoln Mark VIII had that capability, but it had air suspension, which (unless I'm mistaken) the XT didn't. There's one like this in our town, but it's only front-wheel drive. They were called Vortex in our country. Chris: just checked, they were pneumatic!